1) I currently have insomnia. I brought this upon myself by being unable to wake up before 11 am today (well, yesterday now. Sigh.) and insisting upon napping around 6 pm; this is important to note because it will explain if the following is barely literate. 2) I am sitting at my dining room table mostly in the dark. The mood for midnight blogging is set by my fat cat Jeoffy sleeping directly next to the laptop and the houseplants all around me showing a fair bit more energy and purpose than they do during the daylight hours; they are positively standing at attention, in direct contradistinction to their usual diurnal droopiness and generally poor morale. 3) In the last month or so, I've read three Dorothy Sayers novels. My normal practice, upon discovering excellent authors who happened to have been much less prolific than either Anthony Trollope or P. G. Wodehouse, is to space out their works, to ration them. Really good books to me are like delicious morsels discovered on the eve of winter - they must be stored for the lean times which must inevitably come. I did not read this trio of Sayers in order to make any commentary upon the evolution of her style, or anything like that; I did it merely to see what reading life is like for the friends of mine who tend to tear through one author at a time. Because Sayers was so ridiculously talented, I doubt this experience is representative of this practice as a whole; nonetheless, I will pass judgement: it's incredibly enjoyable and I now understand focusing on present bookish feasting rather than fearful squirreling away of promising novels in fear of future famines. Indeed, as I am in possession of three other Sayers novels as yet unread, I may do this again in the Fall. Pre-toast rantlet: Dorothy Sayers was a gifted writer; that she chose to bestow her gifts upon the murder mystery (thus helping to usher in what became known as the Golden Age of Detective Fiction) is, to me, a most excellent example of non-pretension and one I wish "serious" contemporary writers would think about more. Being a great writer shouldn't have to mean writing "literary fiction" designed to set fire to the hearts of Earnest 20-somethings and Booker prize judges. Plot and the pure pleasure of reading should not be underestimated! These are the three novels I read: Strong Poison (1930), Murder Must Advertise (1933), and Busman's Honeymoon (1937). I note the dates here because two of the three novels bear important story connections to Gaudy Night (1935), which I read back in December and which began my belated love affair with Sayers. 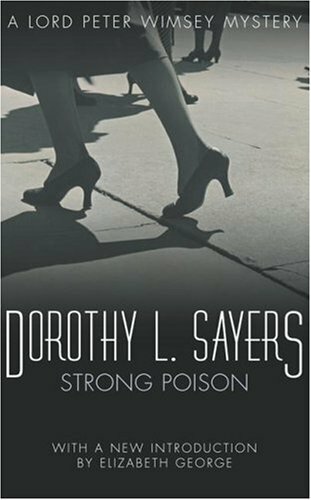 Strong Poison is the novel in which Sayers first introduces the lovely Harriet Vane, the star of Gaudy Night and Lord Peter Wimsey's best beloved. A successful author of detective fiction, Ms. Vane finds herself on trial for the murder of a former lover with no hope of being proven innocent...until, that is, the dashing amateur crime sleuth, Lord Peter, arrives and determines based on a hunch that she's innocent! Yes, the premise is this silly (which I mean in the nicest possible way); but the writing is fantastic, and the scenes between the resigned Harriet and the alternately avuncular and smitten Peter are particularly so. ...A potential Sayers displays in strange and contradictory ways in Murder Must Advertise. In this novel, Lord Peter infiltrates an advertising agency that's been the site of a mysterious death. On the one hand, Lord Peter turns out to be a natural at writing absurd yet effective advertising copy; on the other, he also reveals himself to be quite skilled at extracting important information from a shallow, drug-addled socialite by dressing up as a harlequin and haunting her. He seems so benign and almost ridiculous that Sayers gleefully mocks him by directly aligning him and his butler, Bunter, with Wodehouse's famous characters Wooster and Jeeves (who always endeavours to give satisfaction, sir). Yet, he also knowingly sends at least one person to their violent death in the tying up of this murder's loose ends. He is sprightly and devil-may-care, and at the same time haunted by the lengths he's felt compelled to go to to get at the truth. He's becoming human. 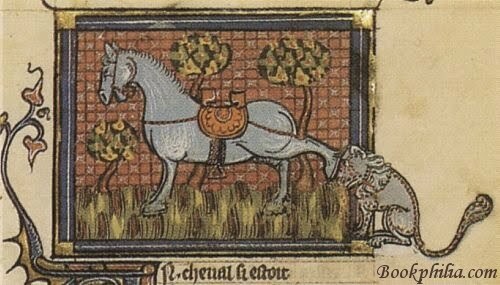 And Lord Peter is most thoroughly human in Busman's Honeymoon, which takes place after Gaudy Night; it is all about his and Harriet's post-nuptial adventures. They are married, it is lovely in general, and they go to the country for their honeymoon, staying in an old country house that Harriet's always coveted and which they've purchased for the occasion. Their honeymoon is spent in solving the crime and feeling one another out in the new and frightening context of holy matrimony. This novel is surprisingly sentimental; but what is more surprising is how its sentimentality in no way gets in the way of Sayers creating a conversation that I think does justice to the excellent mystery that is marriage in its early days. This, alongside Sayers's revelations about Lord Peter's complicated past with regards to World War I, makes for an emotionally draining book. Which makes perfect sense to me, as it is also, of the four Sayers novels I've now read, the most complicated in terms of plot. Figuring out the murder is prolonged and difficult and the explanation, when it is finally understood, drawn out and really understandable only by those who have a firm grasp of physics. I loved it. 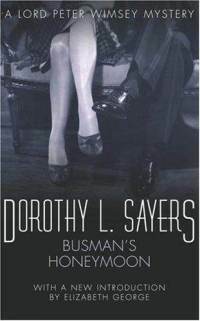 Perhaps not as much as I loved Gaudy Night, but I think Busman's Honeymoon is probably a close second. Late night blogging status update: The plants are still looking well. Fat Jeoffy has left the table, but Mz. Bustopher Jones has colonized my lap. The toast was delicious. I am still tired but still in that way that doesn't actually lead to sleep. I have less than 24 hours left of being 35. I wish that for my birthday I could ask for more time to read instead of just for more books. I may begin working on a final Vanity Fair post right now, just because I can. Well - now I want, really badly, to read something by Sayers. I'm trying to remember if there's anything by her in the peace corps library or if I'm going to have to wait a year till I have access to an American library. I tend to ration my books too, but I love how it feels when I just chill out a bit and relish reading everything by an author. Your description of Sayers and the lack of pretension reminds me of Dennis Lehane, who I think of as someone with the chops to write "literary fiction" but who writes mysteries. I find his work so much more exciting than that of the horde of award-winning lit fic authors. Lehane was also the last author I read the way you're reading Sayers - a few months after first reading him, I got sick and spent a week reading three of his novels. It was so much fun to feel so completely in his world. I've been saving Sayers because she sounds like an author I would absolutely love and I haven't even read her yet. I've just allowed myself to begin reading Maisie Dobbs by Jacqueline Winspear. So like you, I'm 'rationing' ... by not even reading them which is ridiculous!! I read Murder Must Advertise YEARS ago, and I have absolutely no memory for books (see: reasons for starting a blog) but at one point Peter says something along the lines of 'That's praising with faint damns' and I LAUGHED AND LAUGHED and I laugh at that line to this day. Must get me some more Sayers, immediatemente. Love this post! 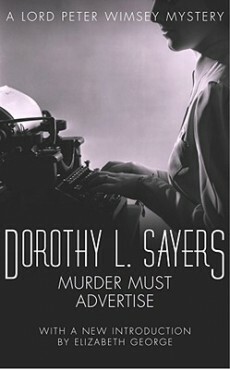 Love Sayers too, and I was just thinking I need to reread Murder Must Advertise. :D I haven't read it since high school, but I remember the cricket scene with an odd sort of vividness! I'm like you: I tend to ration out my favourite authors so that they'll last longer. My mom's the opposite: when she discovers a new writer she loves, she tears through their works. I want to get more into that camp, I think...or at least increase my rationing so that I'm reading more than one a year. I have to remind myself that once I finish a beloved author's books, I can just reread them! I either command or encourage you all, whichever is most appropriate for you, to go read Gaudy Night, stat. And then the others. I LOVE Sayers and Wimsey was also my literary boyfriend at one point. I haven't read any of her books for a while although I'm tempted to try The Attenbury Emeralds (Jill Paton Walsh's continuation of the Wimsey mysteries). Walsh's first attempt was good but can't remember much of her second. chasingbawa: I am, and I think I will remain, too fearful to ever try Walsh's attempts at reviving Wimsey et al - I just don't know how anyone could satisfyingly attempt to replicate Sayers's genius!